Get personalized attention and take advantage of a flexible itinerary on this private tour of the Sacred Valley from Cusco. Perfect for those short on time, this tour efficiently coves a lot of ground, and still leaves plenty of time for questions. 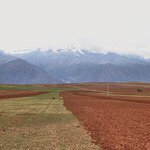 Listen to commentary as you see sights including the Salineras of Maras, the Ollantaytambo Fortress, the Moray archaeological sites, and the Pisac Indian Market. 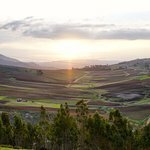 After morning pickup at your Cusco hotel in a private tour vehicle, you’ll proceed directly to the Sacred Valley without having to stop for anyone else. Visit the ruins of Pisac to see the cemetery and the agricultural terraces, then peruse the Pisac Indian Market for some souvenirs. 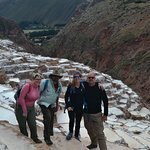 Continue on to the Salineras of Maras (about an hour's drive), where you’ll see the ancient process of salt evaporation using ponds, dating from pre-Inca times. 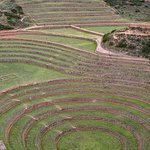 The day's next stop is the Moray archaeological site, thought to be an agricultural laboratory built by the Inca. Take the opportunity to purchase lunch at a restaurant perched high over the site. 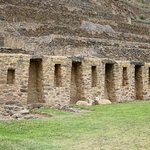 Last, stop at the visit the Ollantaytambo archaeological site, once the royal estate of Emperor Pachacuti during the Inca empire. Traveling with a private guide ensures you can move at your own pace and have plenty of time to ask questions. Best Way to Spend A Day In Peru! 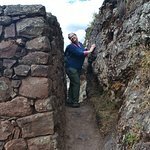 The way to see the Sacred Valley! 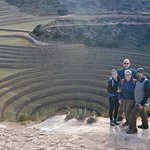 Get quick answers from Sacred Valley Private Tour from Cusco with Moray and Pisac staff and past visitors.